Online vision tests are becoming increasingly more prevalent with the advances in technology and access to the internet. Online vision tests may seem like an easy way to get your new pair of glasses or contacts but do not compare to an comprehensive eye examination by an optometrist or ophthalmologist. The first concern with an online vision test is accuracy. 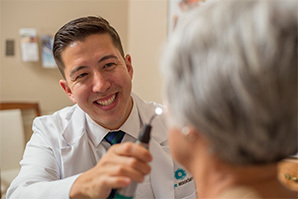 The eye practitioners that are trained to determine your glasses’ prescription use various techniques to check and double check your vision. This ensures that your glasses will give you the best visual acuity possible. The screening test and devices used by online vision tests do not have the ability to make sure that the patient is not overcorrected or that the prescription is precise. An incorrect prescription can cause more than just blurry vision. It can also cause eye strain and headaches and the patient might not even perceive that the prescription is the cause. The American Optometric Association warns of the risk of buying glasses online and co-sponsored a study that found nearly 48 percent of glasses obtained online had the wrong prescription or safety issues. The next and bigger concern is that online vision tests do not assess eye health and vision conditions such as cataracts, glaucoma, diabetes or neurological issues. 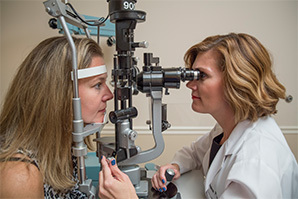 During an in-office, comprehensive, dilated eye examination, your optometrist/ophthalmologist can not only assess and detect eye diseases (such as glaucoma, cataracts, macular degeneration, etc.) but can also assist in the diagnosis of systemic diseases such as high blood pressure, diabetes and neurological conditions. 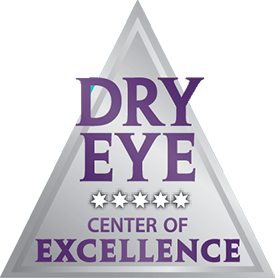 Relying on an online vision exam will not allow for a health examination and may delay the diagnosis of an ocular condition. 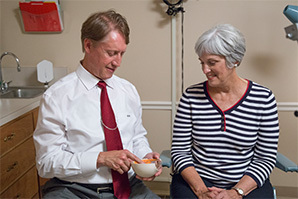 Early diagnosis and treatment is important for many conditions and failing to identify concerns in a timely manner could lead to a worsening of the condition or a more difficult treatment. 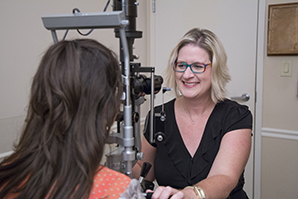 While an online vision tests does seem convenient, they are not a replacement for a yearly comprehensive eye examination by an optometrist or ophthalmologist. Please request a consultation at one of Dr. Black’s Eye Associates’ multiple locations using the online form. Or call us at (888) 393-2273 to schedule an appointment.